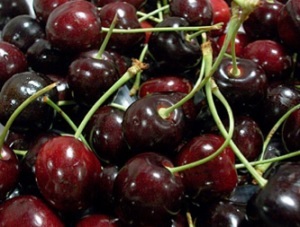 June and July are cherry season, one of the last true fruit “seasons,” since cherries are that rare commodity nowadays, a fruit that disappears from store shelves during the rest of the year. But did you know that cherries aren’t just tasty and packed with antioxidants, they can actually help you sleep better? The fact is that your choice of late-night snack could mean the difference between restless insomnia and deep, health-promoting sleep. Here are the top five foods experts recommend to beat insomnia and send you to sleep. According to agricultural research studies, cherries are one of the only natural food sources of melatonin, the chemical that controls the body’s internal clock to regulate sleep. During the ten months of the year when cherries are out of season, dried cherries and cherry juice (especially tart cherry juice, which contains less sugar) are good substitutes. (Grapes also contain melatonin, but you need to eat more of them to get the same effect.) Researchers who’ve studied the melatonin content of cherries recommend eating them an hour before bedtime. The truth is, ask Dr. Oz and he’ll suggest pumpkin seed powder and the Mexican alcoholic drink pulque before he gets to oatmeal, third on his list of sleep-inducing foods. But oatmeal is certainly more appetizing and easier to stock in your kitchen. Another complex carbohydrate, oatmeal triggers a rise in blood sugar, which in turn triggers insulin production and the release of sleep-inducing brain chemicals. Oats are also rich in vitamin B6, an anti-stress vitamin, and melatonin. The experts go back and forth on this on (with the dairy industry funding plenty of research), but there is some evidence that this tried and true sleep aid really does work. Although, according to scientific analysis, combining milk with a carbohydrate-rich food like oatmeal, granola, or toast makes it much more effective. Like bananas, milk contains the amino acid L-tryptophan, which turns to 5-HTP and releases relaxing serotonin. It’s also high in calcium and other minerals, known to have a relaxing effect on your system.